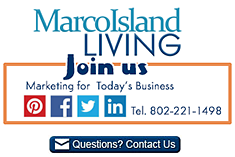 There are dozens of special interest and civic clubs on Marco Island and in southwest Florida. If your non-profit club, group or civic organization would like to included in this list contact us. Civic Club and Community information is subject to change without notice. It is always best to call or email the organization in advance for more information. Share your Marco Island – Naples FL reviews or ask us about visiting Marco Island Florida. To feature your business, contact us.